Presenting A Speed That You Can't Beat: PLDT Ultera! With today's generation, technology is very important. Not that it serves as our wants, but it already serves as one of our need already. Weather it's personal use, office stuffs, or might be a call from a loved one from other country? That's why a fast and reliable connection is very important anytime, anywhere! but it's indeed the fastest connection you might wanna see! Andi Manzado and Sam YG who gracefully hosted the event. PLDT Ultera is a high speed wireless broadband that was launched last April 29, 2014. PLDT Home Bro Ultera is offered in three plans upon your needs: Ultera Basic (3 mbps speed at MSF of Php 999), Ultera Max (5 mbps speed at MSF Php 1599) and Ultera Pro (10 mbps speed at MSF Php 1999). Just by looking at the price, I already can imagine that wonderful feeling downloading HD movies in just a couple of minutes? Together with Mr. Ariel Fermin (PLDT Executive Vice President) Shared his thoughts when it comes to their connection at home. I suddenly remembered, the hassle of experiencing slow connection and divided in the whole household? But with PLDT Ultera, worry no more! Enjoy the connection that everyone of us should have at home! You can download a movie, others are uploading pictures, while some are streaming videos all at once without interrupting each others' connection. Who wouldn't want that right? moves 78,000 kilometers that makes them unbeatable! pffft. For online gamers out there, you can also enjoy ultra fast connectivity and defeat your online enemies without experiencing internet lags which my boyfriend's usually experienced from others! We were lucky enough to see for ourselves how fast is the PLDT Ultera. Beating Jeron Teng's stage running vs uploading facebook photos. And ofcourse the fastest eater of hamburger in the Philippines VS downloading 10 HQ sounds! Examples that clearly showed us how fast and efficient is the new PLDT Ultera! Even these pretty celebrities witnessed that event! 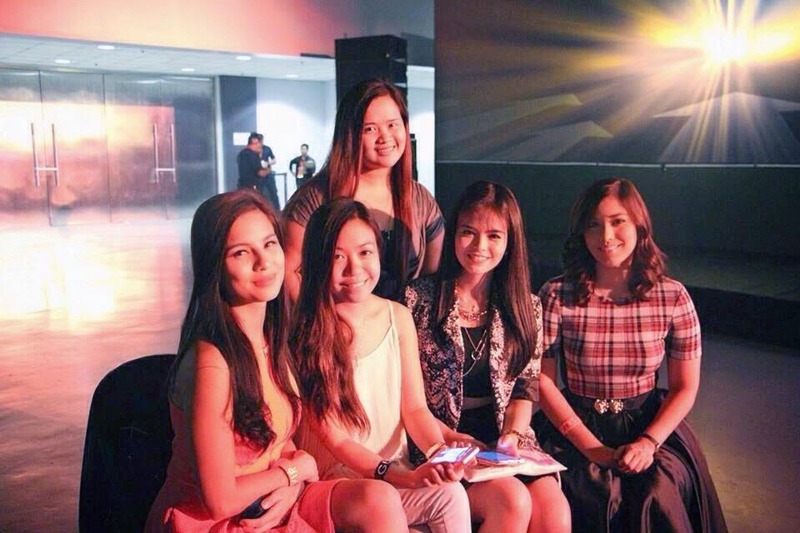 (Jasmine Curtis, A friend, Bea Binene and Lauren Young). So there you have it! A speed that is comitted on satisfying your urge with fast internet connection- PLDT Ultera!